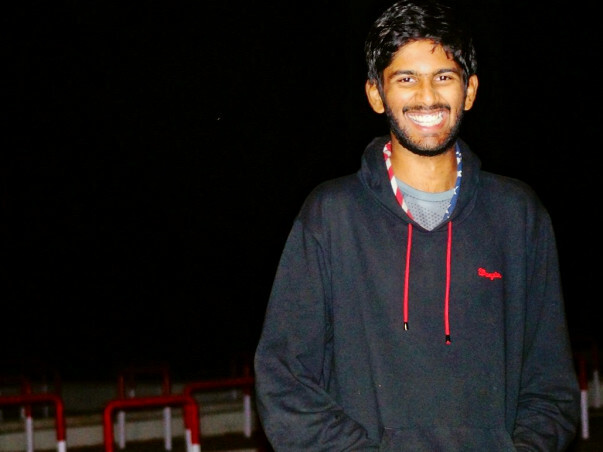 I am a third year undergraduate student of IIT Kharagpur enrolled in my B.Tech course of Metallurgical and Materials Engineering. 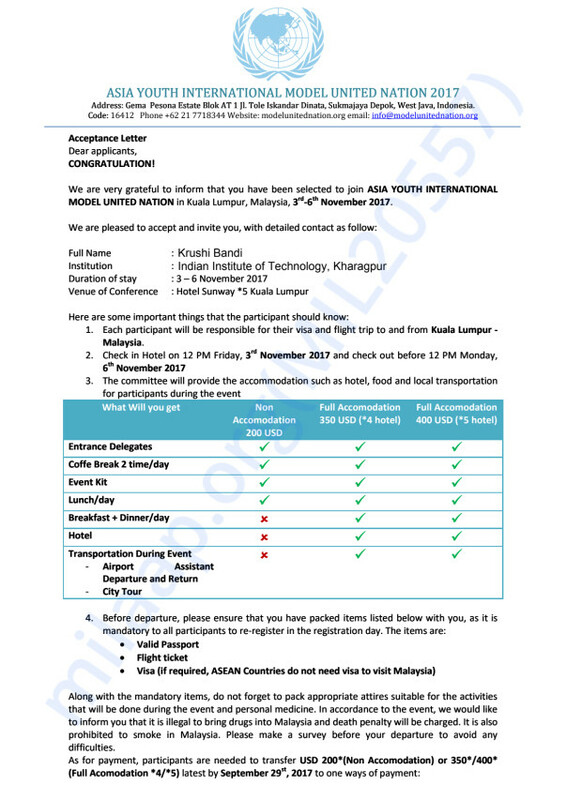 I am one of the 400 students from across Asia selected for the Asia Youth International Model United Nations to be held in Kuala Lumpur, Malaysia from 3rd to 6th November, 2017. The total costs for the conference including the registration + stay (400USD) would account to around INR 60k for which I need your help. 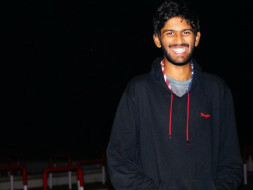 I am a part of an NGO named Gopali Youth Welfare Society here in IIT Kharagpur which intrigued me to think deep about the global problems in education and thus I am a part of UNESCO team there, for which I am selected after a rigorous process and I wish voice my thoughts on a global platform. My family is currently not in a position to support me financially for this conference and hence I would like you generously help me till an extent you can. Thanks a lot for all your generous help. I have spoken with a lot seniors who travel a lot and they have helped me with tricks to cut costs and get works done with the least budget. I am withdrawing all the amount that is now collected and accepting the offer to attend the conference. I once again thank you all from the bottom of my heart for the vote of confidence and trust you put in me. I will put in all my efforts to present the best papers possible and try to win any possible awards in my respective council. I promise to make you proud!